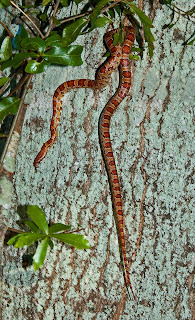 My wife found this corn snake (aka Red Rat Snake) on our deck directly below our wren's nest. The snake had no bulges indicating it had recently eaten so I suspect she intercepted it prior to it's getting to the young wrens. 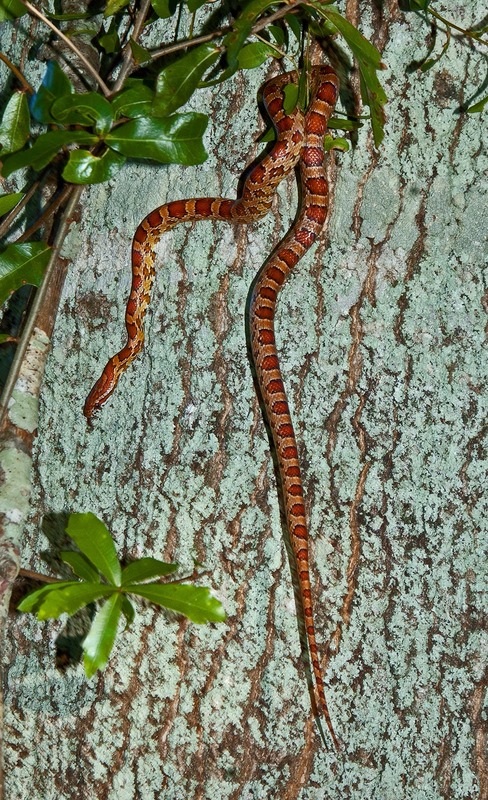 I relocated it to one of our red oaks in our front yard where I took this photo. I guess I'll have to undertake putting snake guards on all of our nest boxes.